Stadiums and Events | 802 Secure, Inc.
As stadiums and events become more connected, the risk of cyber attack, disruptions, and interference become more common and prominent. For example, during the 2018 Winter Olympics opening ceremony unexplainable WiFi interference knocked out WiFi service at the entire stadium, including television feeds. At events around the world, fears have also increased surrounding Drone activity or “swarm” activity introducing new risks to stadiums and events. Drones are capable of causing physical harm by dropping pathogens and even bombs. Even disruptions can prevent payment processing at Point-of-Sale systems at events, failures with wireless security surveillance systems (security cameras), and other wireless enabled devices and sensors (e.g. radio communications). The commonality across all of these risks is that Radio Frequencies (RF) are involved. 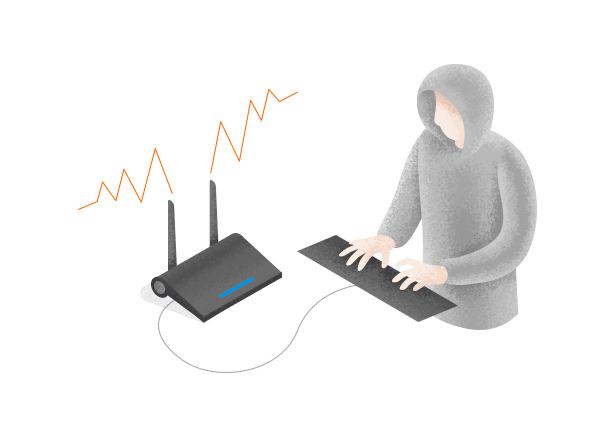 These RF risks extend beyond WiFi, as wireless connectivity across these mediums include Bluetooth, LTE, P25, 900MHz, and a plethora IoT protocols such as LoRa, SigFox, Z-Wave, Zigbee, and more. This prompts the need for RF Surveillance. But deploying and managing such a solution has historically been very difficult and requires specialized expertise. Additionally, analysis has traditionally been done via a technician with a handheld spectrum analyzer. The problem with this approach is it’s unmanaged and usually post-mortem, after issues have occurred. Wireless is very transient, it requires active 24/7 monitoring. 802 Secure’s solution involves wireless sensors tied back to the cloud. The sensors are the size of an access point, and thus very easy to deploy. And since these sensors are equipped with LTE cellular cards, there’s no need to connect them to a network, simply plug-in and go. Although ethernet and PoE is a built-in option. Within minutes of powering on, the sensors monitor across a broad frequency range to monitor for interference, jamming, crowded frequencies, and more. The DVR-like capability allows 802 Secure to record the activity to allow the administrator to go back in time to the point at which the issue started so as to pinpoint the source of the issues. But visibility also involves identifying the adversarial device or the device inadvertently causing the issue. 802 Secures learning model deciphers the device and categorizes it in the system so the user can immediately determine if it’s a drone, spy camera, smart refrigerator, smart vehicle, or thermostat just to name a few. 802 also monitors wireless network connectivity to determine if during an event if guest wifi is overloaded with too much co-channel interference (too many devices on a single WiFi channel) or a wireless deployment that needs to be modified and adjusted to handle unexpected demand. Furthermore, 802 Secure can be used to monitor 3rd party provided wireless networks to ensure SLAs are met, and provide evidentiary statistics when a deployed network is underperforming or needs adjustment. For more information about 802 Secure, please contact us at info@802Secure.com to learn more how we can help provide monitoring and surveillance for your event or facility whether it’s a stadium, coliseum, or amphitheater.